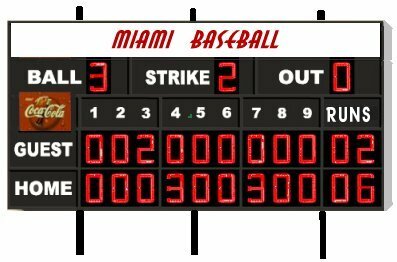 Indoor Video Displays, LED Signs, Wireless Baseball Scoreboards. 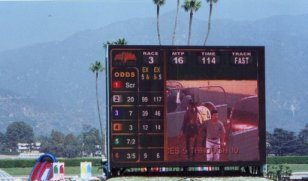 Our LED Billboards have many standard features as well as an extended list of available options to make your LED Billboard system as customized as you would like. We use high quality Nichia lamps. 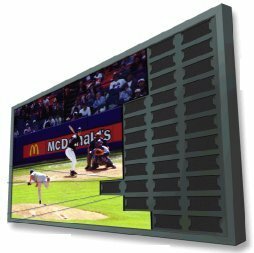 LED Billboard uses: For outdoor advertising, shopping malls, sports stadiums, live events. 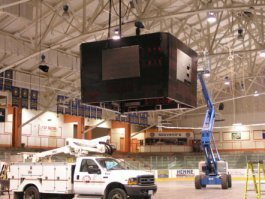 Fixed advertising and mobile advertising trucks, Amber alert Billboards, local news broadcasting and mobile Message displays, mobile advertising. LED Digits-- FULL color 16million colors or you can choose an economy single color versions. 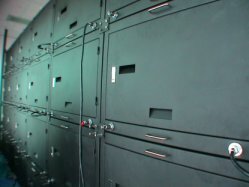 Powder Coating-- The finishing touches of our models come with our unique frame design, and quality powder coating. Many colors available. 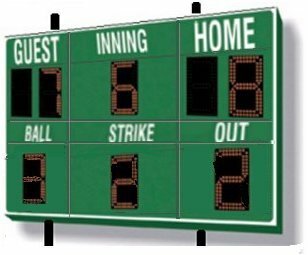 LED Scoreboards: Add a scoreboard to the Video Display for added features. 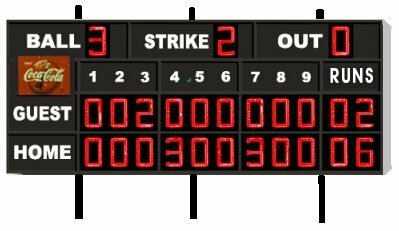 All of our baseball scoreboard models are made with quality LED digits, last 100,000 hours, are inexpensive to power, and easily seen, even in sunlight. Our standard is hand held wireless controllers are rugged and easy to use. 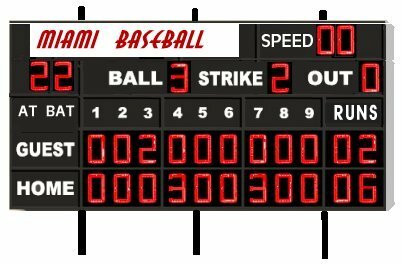 We have sports scoreboard system configured so we just plug and play. LED Wireless with Sponsor Panel. Dimensions: 68" high x 120" wide x 2" deep. Approximate weight is 200 lbs. Power: less than 2 amps @ 120 volts AC. Dimensions:60" high x144" wide x2" deep. Dimensions:76" high x169" wide x2" deep. Approximate weight is 300 lbs. LED Wireless with Sponsor Panel on Top. Dimensions:96" high x169" wide x2" deep. Approximate weight is 470 lbs. 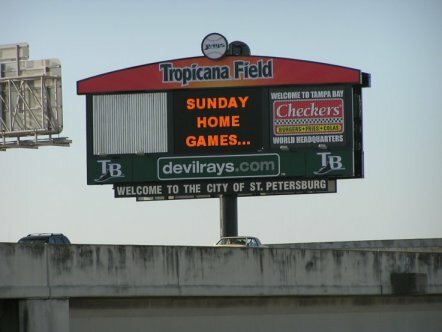 LED Wireless scoreboard with Sponsor Panel on Top. Dimensions:115" high x169" wide x2" deep.